My name is Laura Tucker. I'm a leadership coach and the host of the Free Your Inner Guru Podcast. If the world is our mirror, it's been showing us for the last couple of years and more that we need more conscious people to step up , be seen and heard, and to become leaders - in life in business, and the community beyond. That was the inspiration when I created the Free Your Inner Guru Guidebook. In the guidebook you will find the exact same step-by-step process that I use with each and every one of my private coaching clients to help them express who they want to become, and then go and achieve the results that they want to see in the world. This is my invitation to you! Become the leader you want to see in the world. 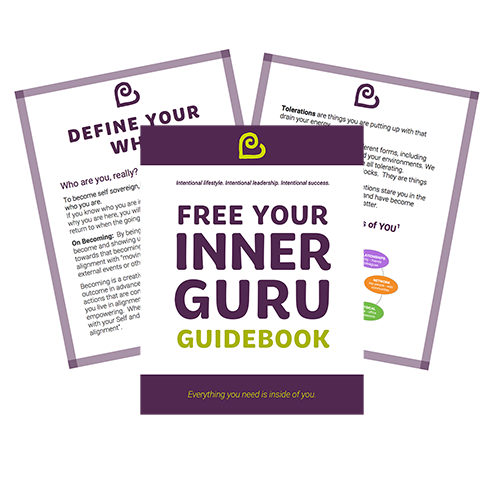 Join me on the Free Your Inner Guru leadership journey by downloading your guidebook today. Request your free Guidebook to unleash your wisdom within.